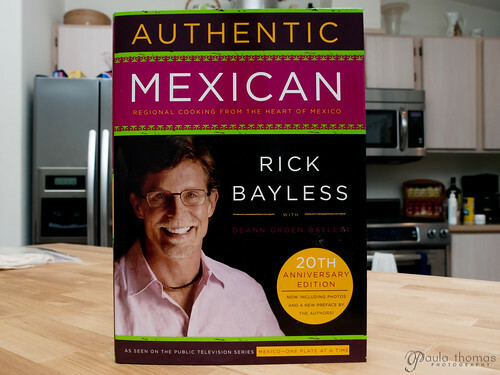 Over the next several months I will be working my way through Rick Bayless' Authentic Mexican Cookbook. I got this cookbook for Christmas from my mom. She's been asking when am I going to make some Mexican dishes so I told her if she got this for me for Christmas I would use it for my next cookbook project. In case you didn't know, I'm half Mexican and that is why she was asking. The first section of the cookbook is actually for sauces and condiments. I decided to skip that chapter since I wasn't sure what to use the sauces and condiments for. I am thinking some of the recipes later in the cookbook might reference one of them and I'll make it at that time. I decided to skip over to the tortillas section and start with something simple at least to me. I'm not new to making flour tortillas. I helped my mom make them many times growing up but she would always make the dough (masa) and I would usually help with the cooking and eating part. 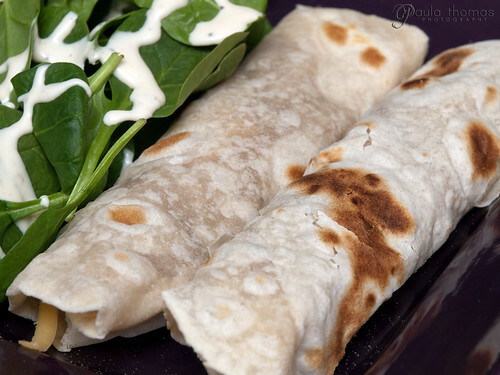 There's nothing like fresh flour tortillas smothered in melted butter. 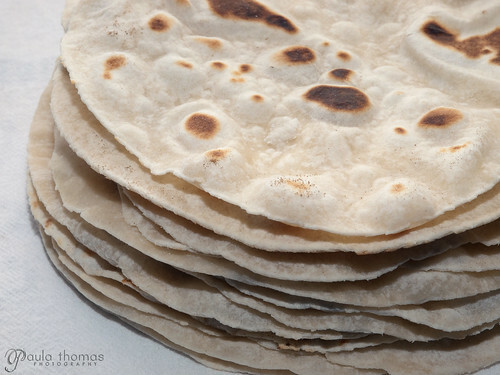 There's really not much to making flour tortillas. Flour, water, salt, and shortening is all you need and every recipe is pretty much the same. 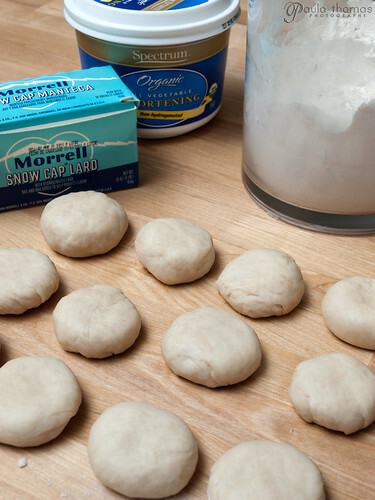 I used a mix of lard and vegetable shortening as recommended in the cookbook since I had both in my cupboard but Rick says you can really use either one. There's a bit of a trick to getting the balls of dough nice and round which Rick doesn't explain in his cookbook but I know from experience and it's a bit hard to explain without the use of video so I won't but I may take a video later when I make these again. I always liked watching tortillas cook. You never know what kind of bubbles will surface while they're cooking. If you're lucky you will get a huge bubble that covers the entire surface of the tortilla. It doesn't happen very often but I managed to get one of those which is pictured below. 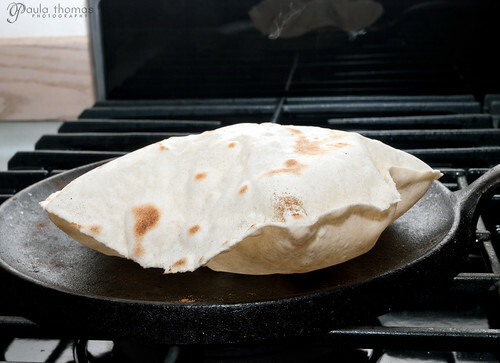 Rick doesn't mention it but you should pop any large bubbles that appear mainly so you don't accidentally burst it while you flip or remove the tortilla from the pan because you're sure to get burned. I ended up making a dozen tortillas and made bean and cheese burritos for dinner. I'm not sure yet what I'll do with the rest of them, maybe just eat them with butter and/or make some breakfast burritos next weekend.